Mumble's son, Erik, is struggling to realize his talents in the Emperor Penguin world. Meanwhile, Mumble and his family and friends discover a new threat their home -- one that will take everyone working together to save them. Most compelling film by George Miller? Will the Krill: So this is the end. I better make my will. I, Will Williams, do hereby leave everything to my imagination. Oh, no! I have an imagination, the second sign of madness. Written by Al Frazier, John Harris, Carl White & Turner Wilson Jr.
©1962 - Renewed & Assigned 1990 - Atlantic Music Corp.
Q: What type of penguin is Mumble? Q: Who sings the Giacomo Puccini aria ["E lucevan le stelle"] that Erik sings after Brian the Beachmaster refuses to help Mumble? I thought HAPPY FEET was pretty great. The film was foot-tapping fun and the dark turn it took in the third act, while unexpected, made it edgy and different for me. When a sequel was announced, I thought it seemed unnecessary. How far can you really stretch the premise of penguins who can dance and sing? Apparently, not that far. After viewing the sequel, it very much does seem unnecessary and wholly forgettable within ten minutes after you walk out of the theater, which is disappointing to say the least. 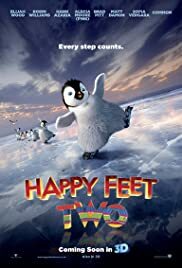 Other than this, the main problem with HAPPY FEET 2 is that there aren't that many good musical numbers as compared to the first one. Most of them are pretty mediocre. However, there are probably around three that range from good to great, one of which uses the song "Under Pressure," which is easily the best number in the entire film. Another problem I had was the dark tone of the film. It's a bit TOO dark, if you ask me. You see the younger penguin characters constantly be put in danger which made the film very uncomfortable to watch, and what these characters go through in the film would probably traumatize them for life. The film also suffers from messy storytelling. For example, the subplot with the shrimp characters (voiced by Matt Damon and Brad Pitt) seems to come from nowhere and is out of place from the rest of the film. It also doesn't help that the characters are so damn annoying. As for the 3D, it's put to good use in some places but, overall, it's really unnecessary. The one good thing I can say about the film is the look of it, which is very beautiful. I also liked Pink a lot, who gives a boost for all the musical numbers she sings in, along with Robin Williams, who has a few great jokes up his sleeves. 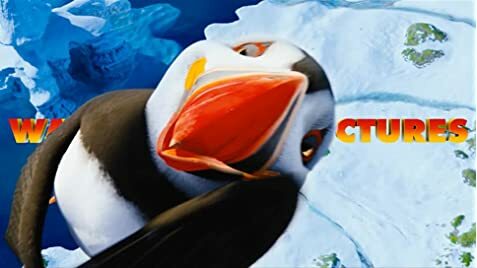 Overall, HAPPY FEET 2 is a disappointment considering that I am a fan of the first film. Director George Miller doesn't seem to have his heart in the right place for this sequel compared to the first film. However, the film is slightly better then CARS 2 if that says anything. 33 of 58 people found this review helpful. Was this review helpful to you?